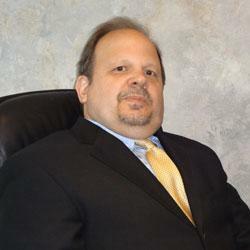 Stephen J. Rankel is a Certified Public Accountant with over 30 years of experience. His expertise is diverse and includes manufacturing, distribution, apparel, real estate, retail, franchising, advertising, public relations, and professional service firms. Stephen is also experienced in formal and informal Chapter 11 and 7 bankruptcy and divorce proceedings. Stephen believes that as a CPA and financial adviser, it is necessary to take a hands-on personalized approach with clients. This mindset and his vast experience has resulted in the development of outstanding relationships with clients, banks, law firms, and commercial finance companies. Stephen was an executive partner (1992-1996) and the Managing Partner (1996-2005) of Weinick Sanders Leventhal & Co., LLP. In 2005, Stephen merged his practice with Citrin Cooperman & Co., LLP where he served on the Executive Committee. In 2009, he merged his practice with Shalik, Morris & Company, LLP. Since joining Shalik, Morris & Company, Stephen has continued to provide excellent service to his clients and others. Additionally, Stephen has become an integral member of the Forensic Accounting Division and represents the firm by providing expert witness testimony. Stephen is a member of the American Institute of Certified Public Accountants and the New York State Society of CPAs.